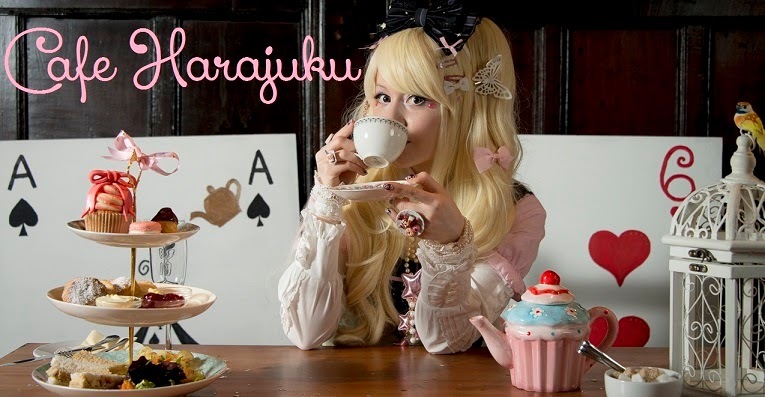 Cafe Harajuku by CanUdoitCat: Why bad English is cute! On a journey through Japan, you will have that situation when you look at a sign and stop for a moment. You will read the letters on the sign again, and it will still say the same thing, to your surprise. There is the "Preped Card" for your phone or the sentence "why to use this sensible notbook!" sentence on your stationary. It's those little wrong English words, that really brighten up my day. I am not the high-baron of English usage, I still make my mistakes, and you will probably have picked up on some of them already if you have read this blog or watched my videos. I still cannot distinguish when to use save or safe, and after a month away from the UK my German "W" accent comes through. However, seeing wrong English printed officially on signposts, leaflets and maps, always surprises me a little. It's that certain innocent usage of wrong English in an official way that makes it so cute in my eyes. I'd rather have a wrong English signpost than one who doesn't even bother trying. cannot enter by this floor"
What it actually needed to say was, that men are not allowed on the Purikura floor, unless they are accompanying a lady. This was invented to avoid awkward chat ups in a "firls only" area. Boyfriends or friends of girls however are allowed to be there. Unfortunately that sign wasn't there anymore when I went to check for it this year. Now some of these wrong English usages sometimes make you question your own sanity for a second before you re-read the message and go "no wait that's wrong". My absolute favourite this year was the automatic "SOUP dispenser". I read the sign, stopped, looked at the picture. No, that cannot be for soup. It clearly states a hand. I've seen those things in the ladies loo. Did I read that right? But maybe they made a clever invention and created a dispenser for soup? Checking closer, the Japanese also clearly states that it's a hand soap dispenser. How awesome a typo is that? I am not really making fun of the wrong usage, I really think it's sweet. I rather have people trying to speak another language than not bothering! Making the first step is important, no matter if it's wrong. My Japanese/English was terrible when I started speaking it. However, that company should probably have gotten a proofreader or double checked their translators before printing the packaging. Maybe tomorrow someone will invent the first hand-washing soup dispenser! And I will be gutted because I had the inspiration, but didn't invent it myself. Now go invent something awesome kids! Thanks for reading this sensible blooog!